Each year, the public is invited to apply to become event ambassadors while training with coaches for the 25K, 10K and 5K events on the second Saturday of May. The Road Warriors are selected by a panel after personal interviews. All Road Warriors represent the Amway River Bank Run at community events and blog on the social media of choice about the ups and downs of training for a long distance road race in Michigan. 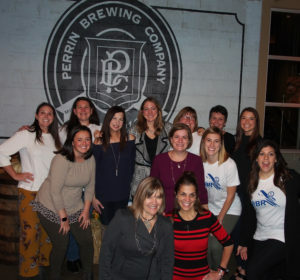 A very special welcome to the 2019 Road Warrior Team -- Alana Miller, Britany Spagler, Bri Conners, Debbie Day, Heather Root, Heidi Arnsburg, KD Matelic, Laura Traxler, Lindsey VanDenBoom, Paige Boldt, Tammie Clapper -- coached by Joann Karpowicz and Amy Polega. Personal photos and bios will be posted early December where you can get to know them and the coaches. Read their stories here! Join us and get to know the Road Warriors at our Training Events -- All of the runs are beginner friendly while we also have different paces to run. This is a great opportunity to meet new people, encourage and motivate others. Come along and bring your friends and family -- free and no registration required - just show up!